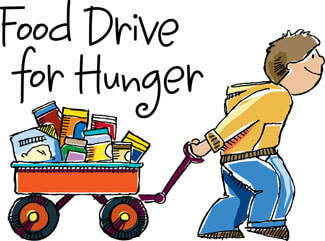 ​The Food Drive events we have held each Sept. have been amazing! Totaling almost 1700 pounds of food each drive. One can, one potato at a time! Like the farm MISSION: Grow to Give, Give To Grow... we encourage anyone reading this to give during the year. Winters especially when food banks shelves go empty. PLEASE, as my song WHO WILL FEED THE HUNGRY asks: Time, food or money, PLEASE donate. 2019's fall drive, we will take what we have learned and expand on it. ONE MORE BIT OF NEWS: Laurie is in a national magazine! Country Woman Magazine just released Oct/Nov and Laurie's story is in there! ​It should be on the stands NOW and in some libraries. ​If you cannot get out to pick up a copy, here is the PDF article:country_woman_magazine.pdf 300,000 magazines will be spread around the U.S.
​ Hoping the story will inspire others to GROW and GIVE, GIVE and GROW!